Good question. Himalayan Salt has become a major export of the Punjabi foothills of the Himalayas in Pakistan of late, and you will find it gracing menus and tables all around the world even as we speak. 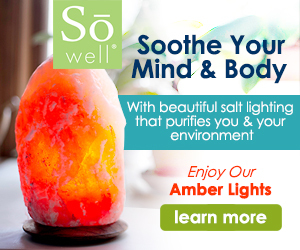 The health benefits of this remarkable salt are manifold, but not many people really understand what it is that makes Himalayan Salt so special. Let’s have a closer look at it and see if we can work it out. Now, this may not be a big thing for you, but there are plenty of people out there who simply love the colour pink, and the pinkness of Himalayan Salt is indeed remarkable. Even if you don’t like pink per se, you might still like having pink salt. I know I do. This pinkness, believe it or not, demonstrates the major quality of Himalayan Salt that makes it so special. It’s not the pinkness itself, it’s what the pinkness shows us. You may already know that humans have always prized salt, Sodium Chloride, NaCl. It is the most common salt in seawater, and in the human body. However, once upon a time, humans discovered this fact, and decided that NaCl, Sodium Chloride was essentially all the body needed. If you were going to mass produce a salt product for everyone to put on their food, it seemed like all you needed was pure Sodium Chloride. This is what we know as common table salt. It’s not pink, it’s white. The problem was that this assessment by our scientifically minded forefather was not complete. Yes, NaCl, or Sodium Chloride is very important, essential in fact, to many processes in the human body. However, and this is where they basically screwed up, it is not the only salt that the human body needs by a long chalk. Sure enough, after years of giving people nothing but pure NaCl to put on their chips, we began to discover that people would use too much of it, and too much ‘salt’ can be very damaging, as I’m sure we all know by now. But, if it’s so damaging, why are people always using too much of it? People always thought that it was just because humans were stupid or lacked self-control, but I think the answer is more simple – they weren’t getting enough salts! Plural. Not Salt NaCL, salts, plural. Like what you get in Himalayan salt. What gives the salt its colour is the fact that there is not just one type of salt in there, there are hundreds. Put simply, a salt is a metal combined with another element or elements. Sodium BiCarbonate is a kind of salt. Magnesium Chloride is a kind of salt Potassium Sulphate is a kind of salt. Actually, the body uses a massive spectrum of salts to fulfil all its metabolic needs. If yiou only give it table salt – Sodium Chloride, your body will still be craving more salt, because you’re only giving it one kind. 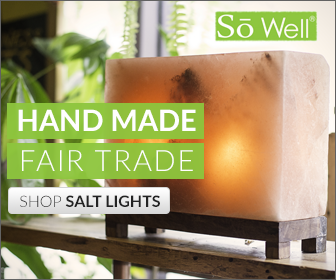 Himalayan Salt has an extremely rich mixture of salts in it, and each of those salts is a slightly different colour. There are other compounds and elements in there too, and these just add to the mix. This is what makes Himalayan Salt Pink. It’s what makes it taste ‘more salty than salt’, and it’s the reason that people are using it more and more across the world. Thinking that ‘salt’ was just Sodium Chloride was a mistake, and millions have died from it, but you can start satisfying your salt needs today by switching to Himalayan Salt, or any of the coloured ‘gourmet’ salts, which contain a variety of different minerals.